The first guest on ‘The Hard Times Podcast’ was Brian Baker of Minor Threat and Bad Religion and is now streaming here: https://thehardtimespodcast.libsyn.com. Along with it’s sister site Hard Drive, The Hard Times’ move into podcasts allows listeners to get to know the people behind all their favorite headlines, and so much more. The company, founded by Matt Saincome and Bill Conway, is a DIY organization that has never taken outside investment and is still owned entirely by the punks, comics, and gamers who work on the site. Now celebrating it’s 4th year as a website, The Hard Times is visited by millions of readers a month, and creates viral social media content on a regular basis. What started out as a way to poke fun at the punk rock scene, The Hard Times now covers society in general, as well as nerd culture, with its highly successful vertical Hard Drive. The company has launched a Patreon with funds going directly to support their podcast teams, writers and editors. 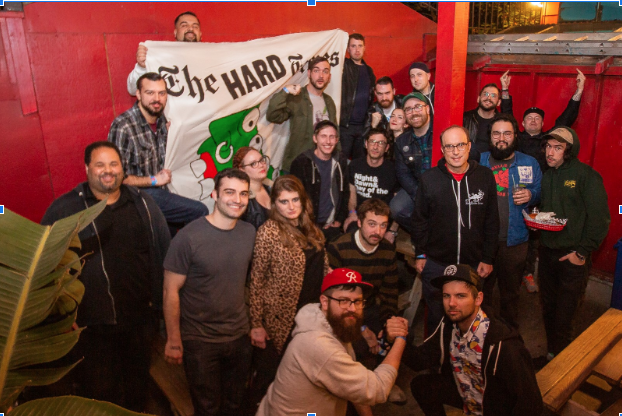 Patrons can get their name, their face, or their band’s name on a Hard Times article and will receive behind the scenes information via a weekly newsletter from The Hard Times team.